While the sedan and hatchback versions of the 2008 Subaru Impreza are quite different in length, they have the same amount of backseat legroom; it's only an issue of which cargo configuration you like best. The comfortable 2008 Subaru Impreza has broader appeal than the former model, without losing its personality—and it’s the only small sedan model in its price range with standard all-wheel drive. 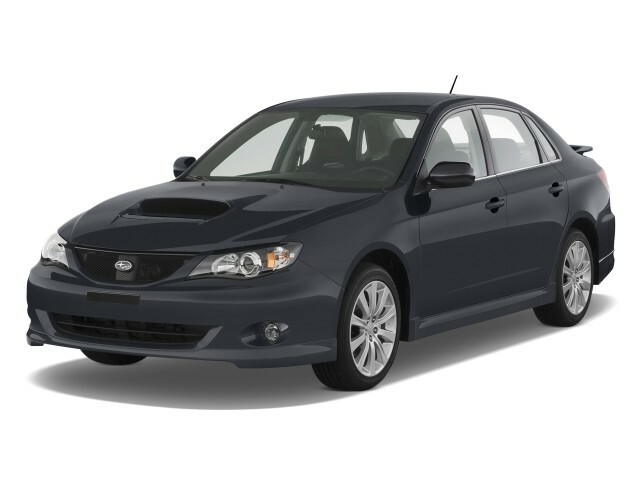 To give you the best, most comprehensive review information possible on the 2008 Subaru Impreza, the experts at TheCarConnection.com have included information and observations from the Web's best reviews. Then TheCarConnection.com's editors, who have driven several different versions of the Impreza, included their own driving impressions. Subaru's new Impreza shares part of its name with the new Impreza WRX, but the more vanilla-flavored Subaru sedan and hatchback are tuned more for commuter duty, not high-speed hairpin handling. As with its predecessor, the new 2008 Subaru Impreza is powered by a unique horizontally opposed ("flat") four-cylinder engine, and all-wheel drive is standard across the model line. The new 2008 Subaru Impreza is now offered in four-door sedan and five-door wagon body styles--the wagon, which is 6.5 inches shorter but affords more versatility, is covered under a separate review. The Impreza has ditched the bulbous, winged nose that had been applied to the Subaru range, and both cars get framed doors--long a holdout by Subaru--for better noise reduction and a higher-quality feel. Both versions of the 2008 Subaru Impreza ride on a new chassis with a wheelbase 3.7 inches longer than before, but more rigid and lighter in weight than the last edition. The longer wheelbase, Subaru says, translates into a better ride and more interior room, as well as lower interior noise. Subaru also has positioned the flat-four engine lower in the chassis for better handling, which it indicates is a better compromise of sport and comfort than the prior car. Those promises translate to a driving experience in the new 2008 Subaru Impreza that feels sophisticated and refined for a small car, but not that exciting. The Impreza has a relatively soft and absorbent ride, and its interior is now notably hushed from wind and road noise. In corners, the body leans quite a bit, but the suspension is well designed and allows impressive grip and poise, so it's a great package for most buyers concerned with good, safe handling and day-to-day comfort. 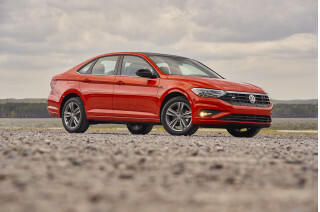 The 170-horsepower, 2.5-liter flat-four engine is still among the most torquey and responsive at low revs of any four-cylinder engine its size, which makes it especially well suited to the automatic transmission--though the five-speed manual also brings good performance. The only complaint is that it only has four gears and they're spaced rather far apart, which can lead to rough downshifts at times. Fuel economy is a disappointment in the 2008 Subaru Impreza; it comes with ratings of only 20 mpg city, 27 mpg highway. The 2008 Subaru Impreza sports a much richer, more elegant interior along the lines of the large Tribeca SUV, which also gets restyled for 2008. 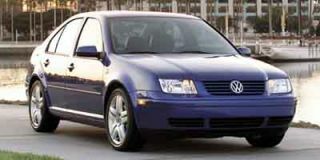 The interior has more shoulder and hip room, an input for MP3 players, and video jacks for video-game players to operate through the optional navigation system. Seats are more supportive and comfortable than in most other inexpensive sedans, and there's enough space for two average-size adults in the backseat, though knee space and legroom are a bit tight. A single 2.5i model of the 2008 Subaru Impreza sedan is offered, which includes what's now considered basic equipment on a car of this price, such as air conditioning, keyless entry, power windows and locks, and an MP3-compatible CD sound system. The Premium Package adds four-wheel disc brakes, fog lamps, steering-wheel audio controls, and an upgraded 10-speaker sound system with an auxiliary jack. Sirius Satellite Radio and a navigation system are available together as a package. Electronic stability control and incline start assist are included with the Premium Package but not otherwise available on the 2.5i sedan. Anti-lock brakes are standard, along with front side airbags and side curtain bags. The 2008 Subaru Impreza does well in crash tests, with top five stars for frontal impact and four- and five-star results in side impact from the federal government, along with top "good" results from the IIHS for both side and rear impact. The 2008 Subaru Impreza wagon has turned away some enthusiasts with its ovoid shape, but the interior is much improved. The 2008 Subaru Impreza wagon has sluggish acceleration and handling, a marked change from the previous car. 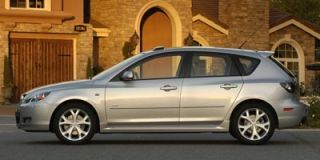 The 2008 Subaru Impreza wagon uses a single engine and standard all-wheel drive, and turns in only average acceleration and handling. Automobile reports that the Subaru 2008 2.5-liter four-cylinder engine found on base-model Imprezas "survives largely unchanged from the previous generation Impreza, albeit with a slight bump in horsepower and torque...power is up to 170 hp at 6000 rpm, torque climbs to 170 lb-ft, and the torque peak has fallen, from 4400 rpm to 4000 rpm," which is "enough to move the car along just fine in most driving scenarios." The base 2008 Subaru Impreza is hampered by its bulk, unfortunately; this Subaru 2008 model's "curb weights are hefty for a compact, and performance is tepid as a consequence," according to Car and Driver. EPA mileage ratings for this 2008 Subaru are 20/27 mpg. Fuel economy is “not stellar,” Automobile adds. On the topic of handling, Automobile reports, “In the pursuit of daily-driver comfort, the 2.5i is very lightly sprung, which, over most broken Michigan road surfaces, delivers a smooth ride - and copious amounts of body roll. It's nothing too obtrusive in mild city driving, but in harder cornering, the car wallows.” ConsumerGuide notes that "steering feel is responsive, if not as razor sharp as would be expected in a sporty car." The transformation from the previous car is missing something: “lost in the transformation was the Impreza's spunky personality,” Edmunds says. The 2008 Subaru Impreza wagon boasts more interior room, but some midgrade materials are noticeable. The 2008 Subaru Impreza wagon scores with reviewers on improved quality, but its compact size offers less interior space than some rivals. A switch in suspension design gives the Impreza wagon “a wider cargo space,” Edmunds reports. ConsumerGuide adds that it's "more versatile with good space behind the rear seats," and Car and Driver says it has "great storage space for a compact." The cargo area is smaller than expected, though; while the backseats fold flat to expand the cargo floor, with them up in place, usable space is quite limited due to the sloped rear window. According to ConsumerGuide, Subaru 2008 "wind and tire noise are moderate at highway speeds...the turbocharged engine whines under full throttle but it's more relaxed at cruising speeds." The 2008 Subaru Impreza wagon enjoys good levels of safety and security. The 2008 Subaru Impreza hatchbacks do well in crash tests, with the top five stars for frontal impact and four- and five-star results in side impact from the National Highway Traffic Safety Administration (NHTSA), plus top "good" results from the Insurance Institute for Highway Safety (IIHS) for both front and rear impact. 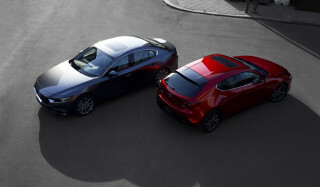 It’s also a Top Safety Pick, as deemed by the IIHS. Electronic stability control and incline start assist are included in the Outback Sport or with the Premium Package but not otherwise available on the 2.5i wagon. Anti-lock brakes are standard, along with front side airbags and side curtain bags. Cars.com says that all 2008 Subaru Imprezas "include an impressive array of safety features," such as "six airbags and active head restraints are standard." Other standard 2008 Subaru safety equipment includes "front disc and rear drum brakes...on 2.5i models." Optional Subaru 2008 safety equipment, according to Cars.com, includes "an electronic stability system" and "optional antilock braking system upgrades." According to MyRide.com, "oddly shaped rearmost pillars intrude in the [Subaru 2008] outward vision a bit, but only when the rear seats are folded; when up, the rear seat head restraints block the pillars." The 2008 Subaru Impreza wagons bring some upscale options to their compact package. The 2008 Subaru Impreza wagons are more plushly equipped than Subarus of recent memory. The Impreza wagon is offered in two different models: the 2.5i and the 2008 Subaru Outback Sport. The 2.5i starts quite basic and includes air conditioning, keyless entry, power windows and locks, and an MP3-compatible CD sound system. The Premium Package adds four-wheel disc brakes, fog lamps, steering-wheel audio controls, and an upgraded 10-speaker sound system with an auxiliary jack. Sirius Satellite Radio and a navigation system are available together as a package. The 2008 Subaru Outback Sport brings a more rugged look and some enhanced ability, thanks to a raised suspension, larger wheels, and standard electronic stability control. The Outback Sport also gets special side molding, bumper underguards, heated side mirrors, fog lamps, a wiper deicer, heated seats, and the 10-speaker audio system. Cars.com reports more features that include "dual-mode heated front seats"; 2008 Subaru "manual transmission models get the incline start assist, which prevents the car from rolling backward on a hill." According to Kelley Blue Book, 2008 Subaru options include the "Navigation Package, which adds a touch-screen GPS system and Bluetooth capability." Automotive.com reports that Subaru 2008 stand-alone options "include body molding colors various deck-lid spoilers, a battery warmer, a subwoofer and power amp for the base audio system, and XM or Sirius satellite radio hardware." You can't get much better value for the money. Great car.